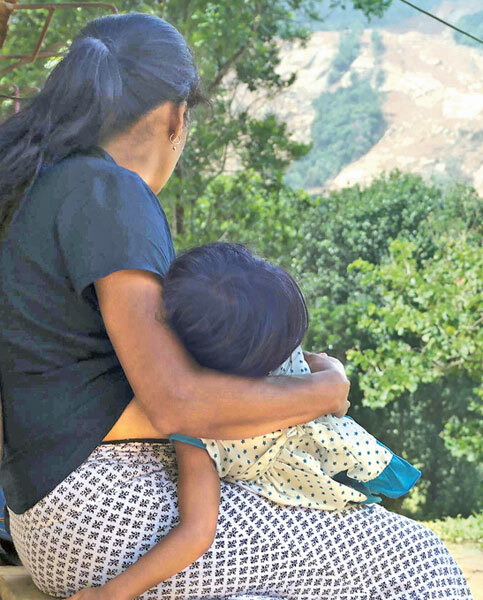 BEYOND THE DEVASTATION: Having barely escaped with their lives from the collapsing mountain at Aranayaka, this displaced young mother and child look out over the scene of the landslide as they ponder their future after the tragic disaster. The Attorney General’s Department has been instructed to prioritize prosecutions on large scale corruption cases. This comes in the wake of President Maithripala Sirisena instructing the AG’s Department to fast track high profile cases and large scale fraud. Minister Rajitha Senaratne told the Sunday Observer that there was undue delay on the part of the AG’s Department regarding large scale fraud cases involving Ministers of the former regime.